2018 Social Security COLA will be 2.0%: Not Enough to Offset Medicare Part B Premiums; House Slashes Medicare to Fund Children’s Health Insurance Program; President Trump Signs Health Care Executive Order, Ends Affordable Care Act Subsidies; CNN: Investigation Finds Drug May Be Inappropriately Prescribed Pill to Nursing Home Residents; Nebraska Alliance Elects Officers, Wisconsin Alliance Draws Gubernatorial Candidates. Separate bills to reauthorize the Children’s Health Insurance Program, which expired on October 1, have cleared both the Senate Finance Committee and the House Energy and Commerce Committee. The House version, known as the HEALTHY KIDS Act, extends CHIP funding until 2022 and temporarily increases Medicaid funding for Puerto Rico and the U.S. Virgin Islands in the wake of the recent hurricanes. But the House bill is drawing particular criticism because it includes a measure that would raid Medicaid and Medicare in order to offset costs for the rest of the bill. High-income Medicare beneficiaries would be charged higher premiums for their Parts B and D coverage. Specifically, individuals making more than $85,000 and couples making more than $170,000 would pay premiums covering 35 to 80 percent of the cost. Individuals making more than $500,000 and couples making more than $875,000 would pay premiums to cover 100 percent of the cost. These changes would likely result in these seniors leaving Medicare. Medicaid beneficiaries would also be hit hard, as there are provisions making it difficult for mothers and children to obtain prenatal and pediatric care and creating barriers for those who earned a lump sum. The House Committee’s bill passed on a party-line vote. Twenty-three representatives, all of them Democrats, voted against it. President Trump signed an executive order on Thursday which expands association health plans so that small businesses can pool together to buy insurance. The order also changes certain rules regarding short-term insurance. 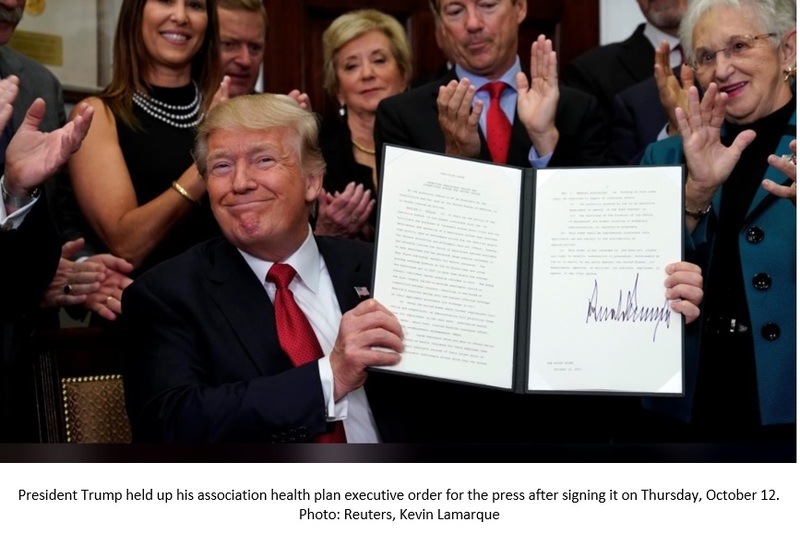 Policy experts believe the move will undermine the Affordable Care Act, as associations can offer skimpier plans that will attract healthier people and destabilize the market. The order’s tweaks for short-term insurance, such as increasing the maximum time that customers can use short-term plans, could siphon even more healthy people from ACA plans. As a result, sicker patients will be left with higher premiums and an unstable market. These changes would not take effect immediately. However, late Thursday the White House confirmed that President Trump will also take immediate steps to dismantle and sabotage the Affordable Care Act. President Trump will terminate a key set of Obamacare subsidies that helped lower-income enrollees pay for health care, a dramatic move that will cause insurance rates to skyrocket and leave millions without health coverage. The moves are the latest in President Trump's aggressive push to dismantle aspects of his predecessor's signature health law after several failed attempts by Congress to repeal it earlier this year. CNN reported that physicians may be overzealously prescribing a pill called Nuedexta to elderly patients. The pill is meant to treat a condition that causes uncontrollable laughing or crying: pseudobulbar affect (PBA). Less than one percent of Americans have this affliction. However, since 2012, more than half of all Nuedexta pills went to patients in long-term care facilities. The number of pills prescribed increased by 400 percent in 2016, exceeding the amount of actual need that elderly people would have for the drug. The company that manufactures Nuedexta, Avanir Pharmaceuticals, argues that it helps individuals suffering from Alzheimer’s disease and dementia. But medical experts say that the disease is very rare among people with these illnesses. CNN’s investigation found that some physicians received benefits from Avanir in exchange for prescribing and advocating for use of Nuedexta in nursing homes. In 2016, the company reported $300 billion in sales. The drug also generates a sizable amount of money from Medicare Part D prescription drug funding. 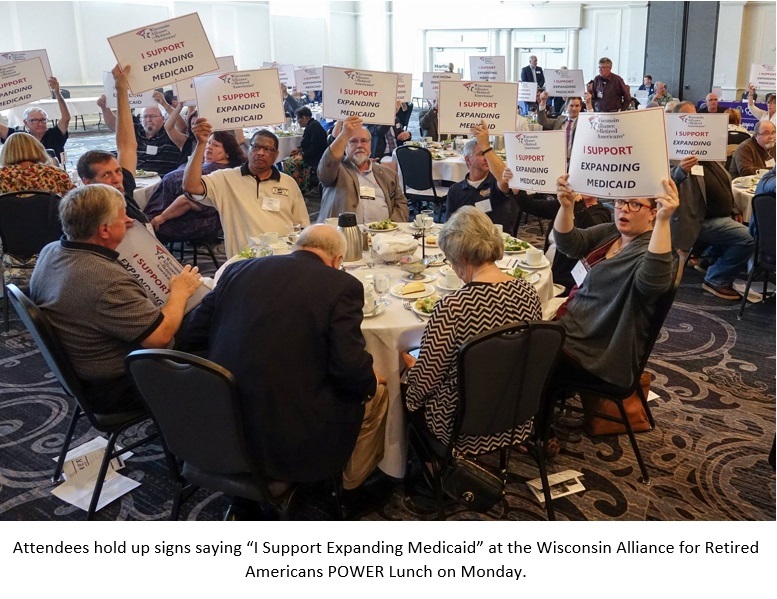 The Wisconsin Alliance hosted several Democratic candidates for governor at its annual luncheon Monday. The candidates had two minutes to discuss senior issues and all committed to working to expand health care for retirees. Republican Governor Scott Walker was invited, but did not attend. For a printable or pdf version of this document, click here.